Now that I am officially DONE with craft and DIY projects for this year, I thought I would take a look back and share my top 10 projects of 2017. Days and months can pass by quickly and it's easy to feel like you haven't accomplished as much as you would have liked. To think you didn't work hard enough or that you should have done more. We tend to hold ourselves up to a much higher standard than what we expect of others and be harder on ourselves than what we should be. Taking time to pause and reflect on the past year is a great way to summarize just how much you have accomplished. It helps me realize that even though I may not have completed all that I planned, I did accomplish a lot and I should be proud. 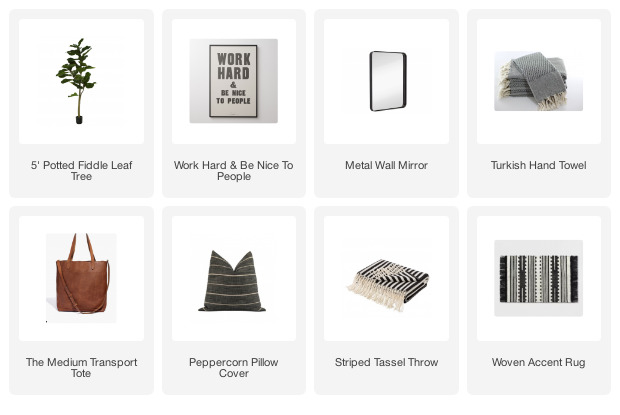 In 2017, I started sharing a Dollar Store makeover on the first Monday of every month (which, quickly morphed into sharing them much more often). 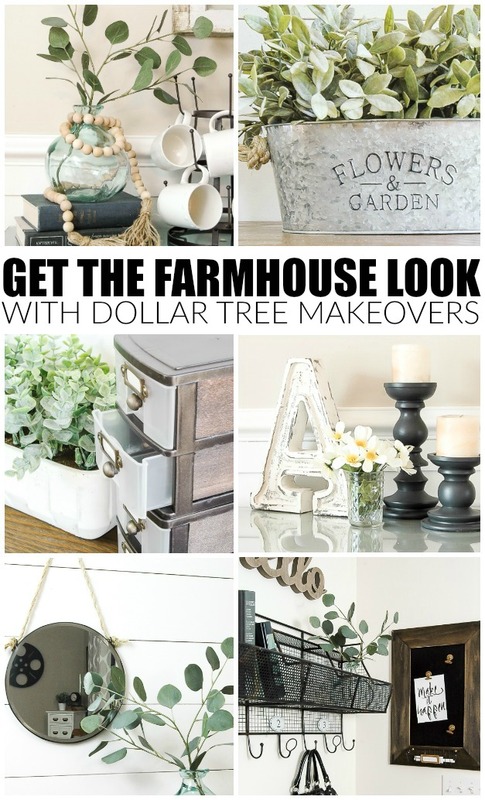 They have been some of my favorite and most popular projects, especially the round-up of Dollar Tree Farmhouse Makeovers. 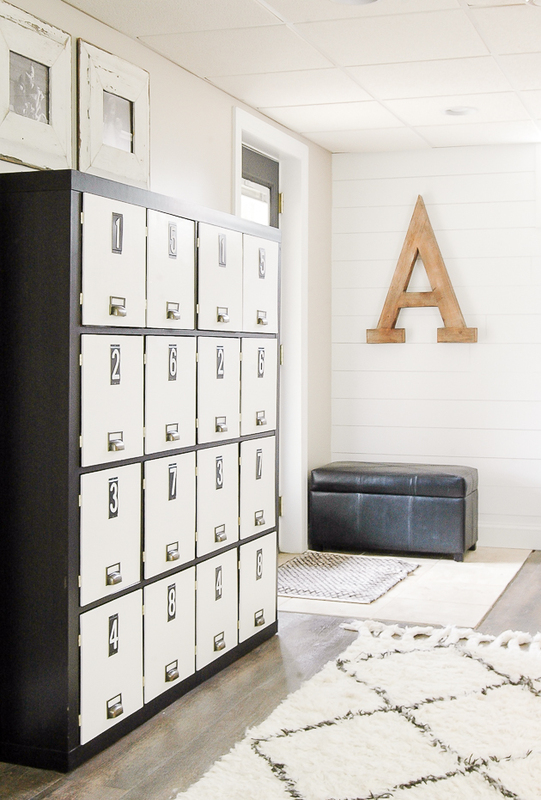 Turning my boring 16 cubby IKEA Expedit bookcase into custom lockers was one of those projects that made a huge impact for very little cost. It instantly transformed and organized our basement and added such a sense of style to the space. 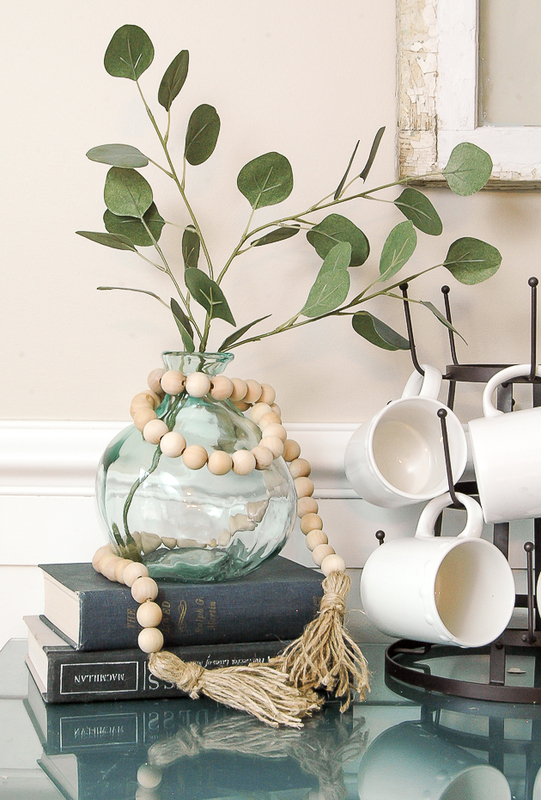 This cute little wood bead garland was one of those quick spur of the moment projects that's affordable and doable. It was one of my favorite projects and I'm so glad you all loved it too. In the Spring, I used a simple combination of household products to "age" a Dollar Tree metal bucket. 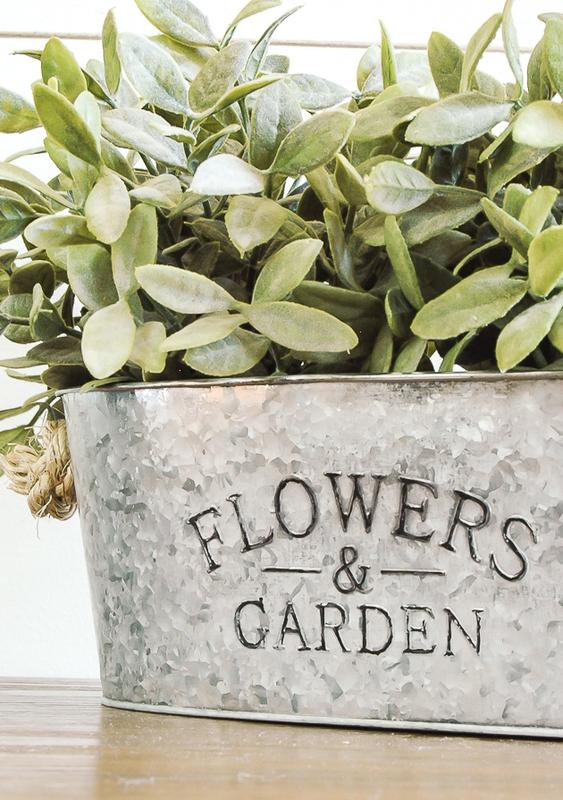 It's a great way to turn shiny metal planters, buckets and bins into the perfect aged decor. 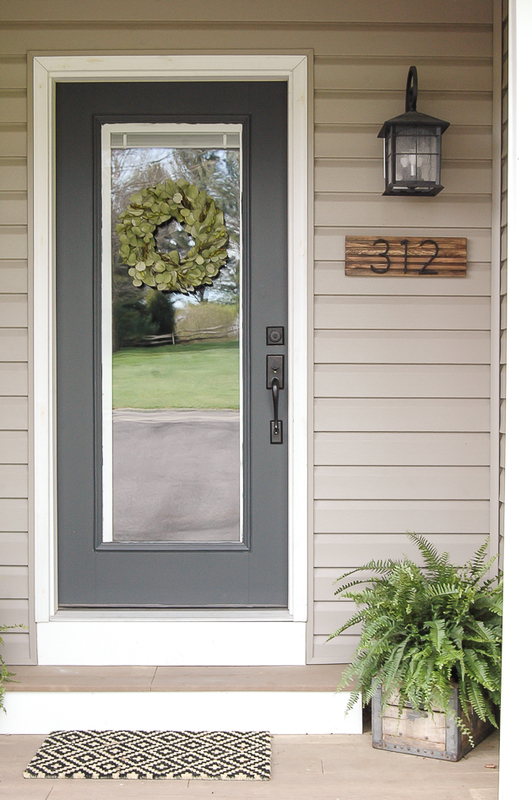 This spring, I also made a simple modern house number sign in an effort to spruce up our front porch. It may be small and it may be simple, but it made a big impact to our porch. 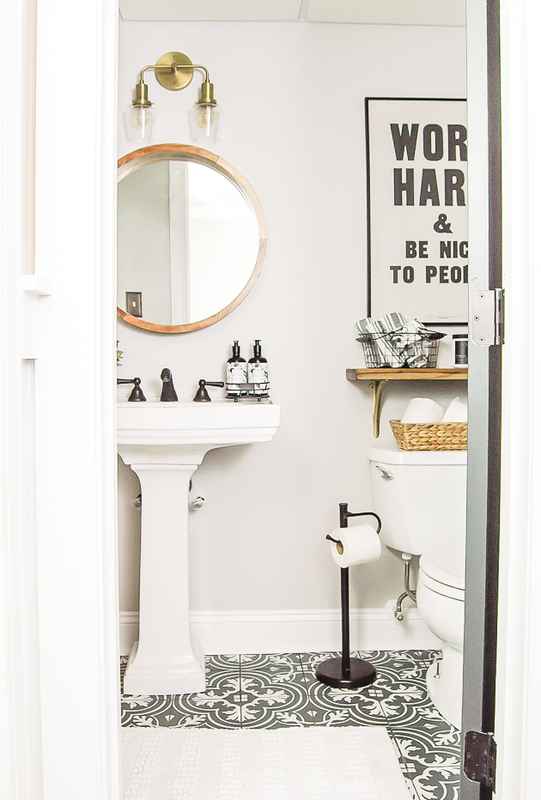 This year, I participated in the ORC and gave our basement bathroom a vintage modern makeover. It's now one of my favorite spaces in our home and I'm so glad I was finally able to check this space off our list. You probably know by now that I love updating and transforming Dollar Tree and thrift store finds. 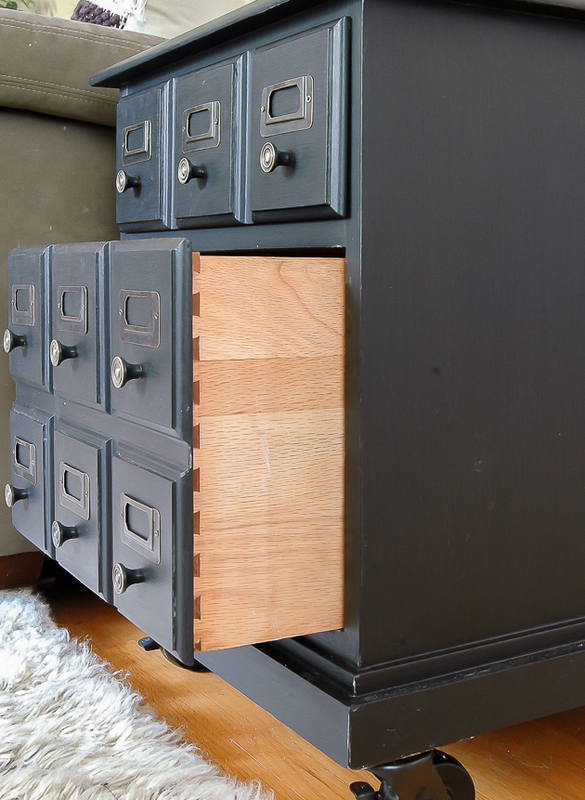 This year, I gave a $15 Goodwill table a card catalog inspired makeover. It's one of my favorite pieces in our home and you would never know it started out as a dated hand-me-down. I tried out a new paint technique this year and I quickly became obsessed. 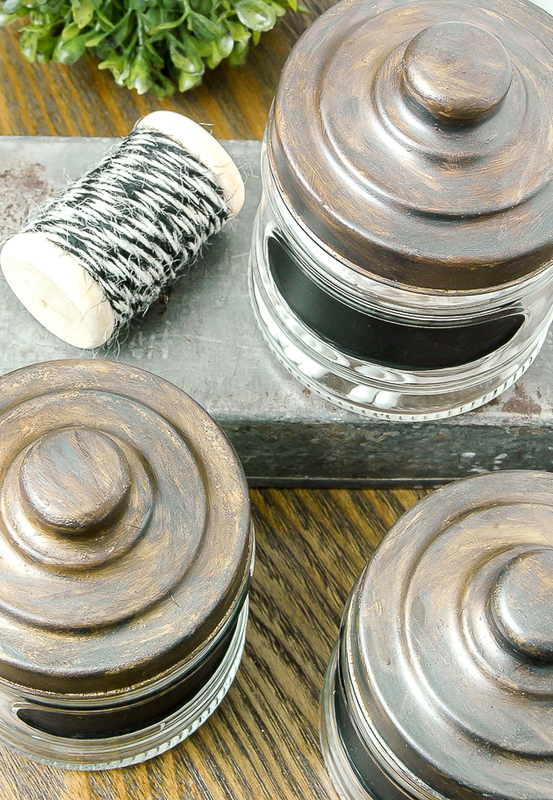 It was just what these Dollar Tree jars needed to give them an aged look. 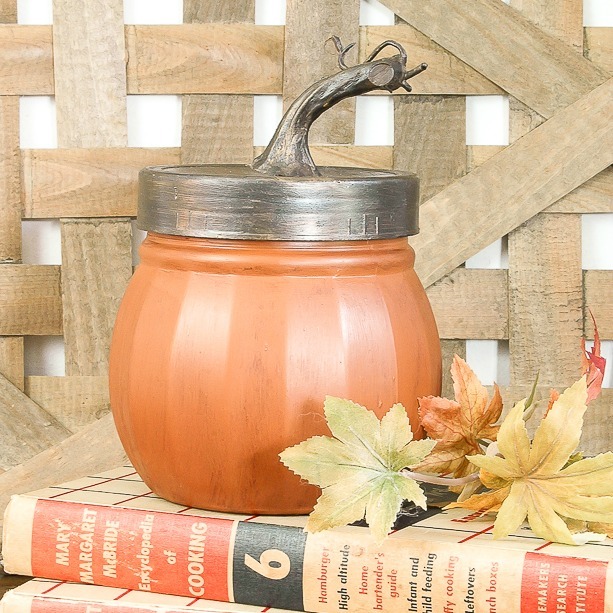 I like to do a lot of holiday projects and these Dollar Tree jars turned pumpkins were by far the favorite this year. I also used the same jars to make Ornaments, which you guys also loved. 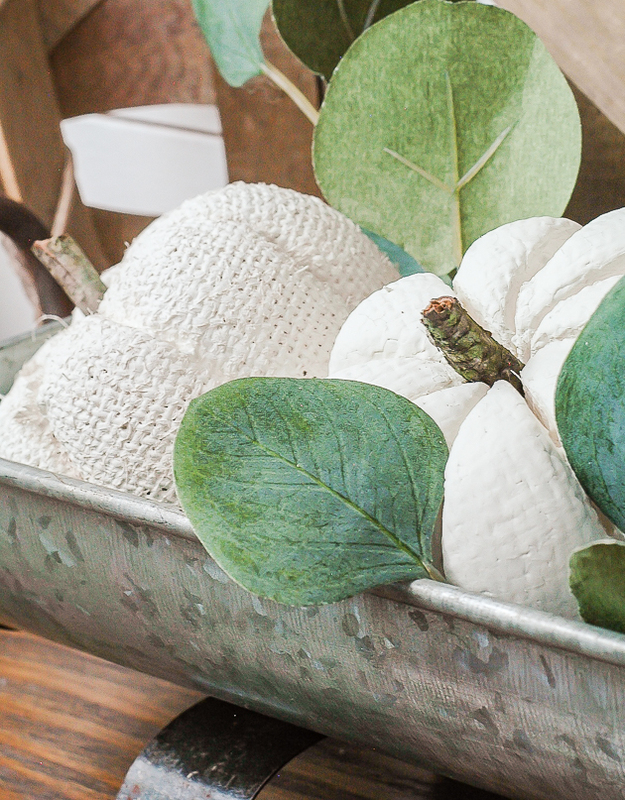 Speaking of holiday projects and Dollar Tree, these updated Dollar Tree pumpkins were also a favorite. 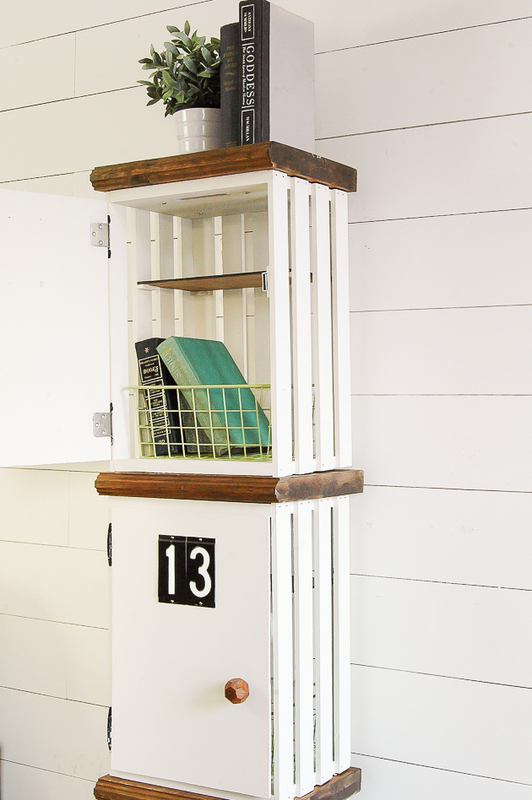 Before my neighbor gave me a set of free lockers, I turned a few simple wood crates into my own version of lockers. It was a total "wing it" project that actually turned out exactly as I imagined. Looking back, I quickly realized that you all love the quick, affordable and doable projects. 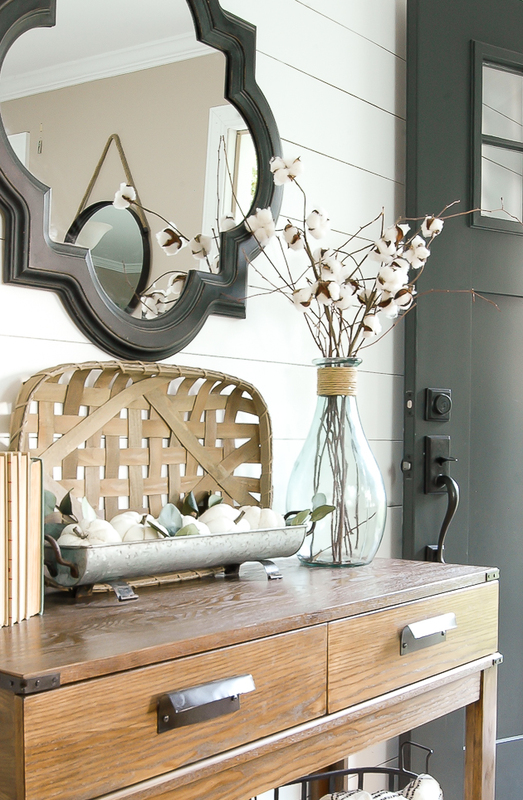 As much as I love doing crafty and easy DIY projects I also love decorating. My bedroom was one of the spaces I started tackling this year and was surprised (and a little sad) it didn't make the list. I love styling and decorating and really hope you guys don't mind me sharing those types of posts. What's on the agenda for next year? As many of you know, I am "retiring" from my job on December 22nd to blog full time. I have so many mixed emotions, but I know it is the right decision for our family It may sound a little cliche, but it really is a dream come true to be able to stay home with my kids and do what I love. I will continue to share 2-3 posts a week, including quick affordable projects. Many of you love the Dollar Tree makeovers, so those will stay and may even become a little more frequent. Organizing is not something I delve into often, but it's something my house desperately needs, so I do have some organizing posts planned. I am also hoping to finish the basement and give my husband's office and my son's room a makeover. As always, I am completely open to suggestions and opinions. If there is something you want to see more or less of, please let me know. If you don't want to comment you can e-mail me at Katie@littlehouseoffour.com. Your blog has brought so much encouragement, inspiration and fun to DIY 2017 and now that you have "retired" and will begin blogging full time in 2018 and forward, I am excited at what projects and ideas you will be sharing throughout the new year. Your enthusiasm and creativity is contagious! Please keep it coming our way ~ you are awesomely talented. I am so excited to see what is to come. 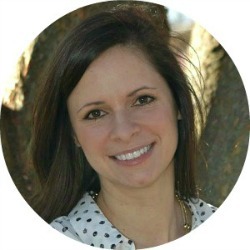 I just found your blog this year and my eyes light up each time I receive your email. Good Luck on your new endeavor...Happy Holidays...Happy New Year!